Delivering her invocation at the Dena’ina Civic and Convention Center, Rev. Shirley Lee referenced what a lot of people were talking about Saturday morning: Walker departing the election. The shake-ups in the governor’s race reached all the way to Iceland, where Sen. Lisa Murkowski was attending a conference on the Arctic. During a video address to the AFN convention, Murkowski gave a brief overview of her legislative priorities on behalf of Alaska Natives in Washington. Her remarks returned repeatedly to a theme that has dominated much of this year’s AFN: how to reduce Alaska’s high rates of violence against women. “Indigenous women have a fundamental right to live without fear of assault in their lifetime,” she said. Addressing a recent federal court ruling challenging the constitutionality of the Indian Child Welfare Act – or ICWA – Murkowski said she’s committed to protecting the law’s status. 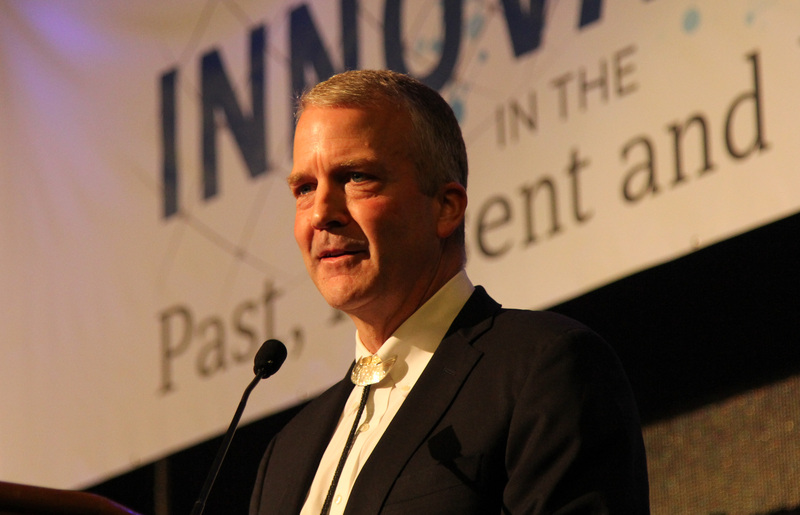 Her remarks were followed by an appearance by Alaska’s junior Sen. Dan Sullivan. He highlighted his legislative efforts to bring more resources to survivors of sexual assault, and his ongoing advocacy on behalf of Alaska veterans. The secretary mentioned was Robert Wilkie, head of the Department of Veterans Affairs. It was Wilkie’s first visit to Alaska since taking over the VA, though he told the audience about living in the state as a child. The convention passed a number of resolutions, but avoided weighing in on two controversial measures. There was no endorsement in the governor’s race, and the body did not take a stance on ballot measure one. Next year’s AFN is scheduled to take place in Fairbanks.